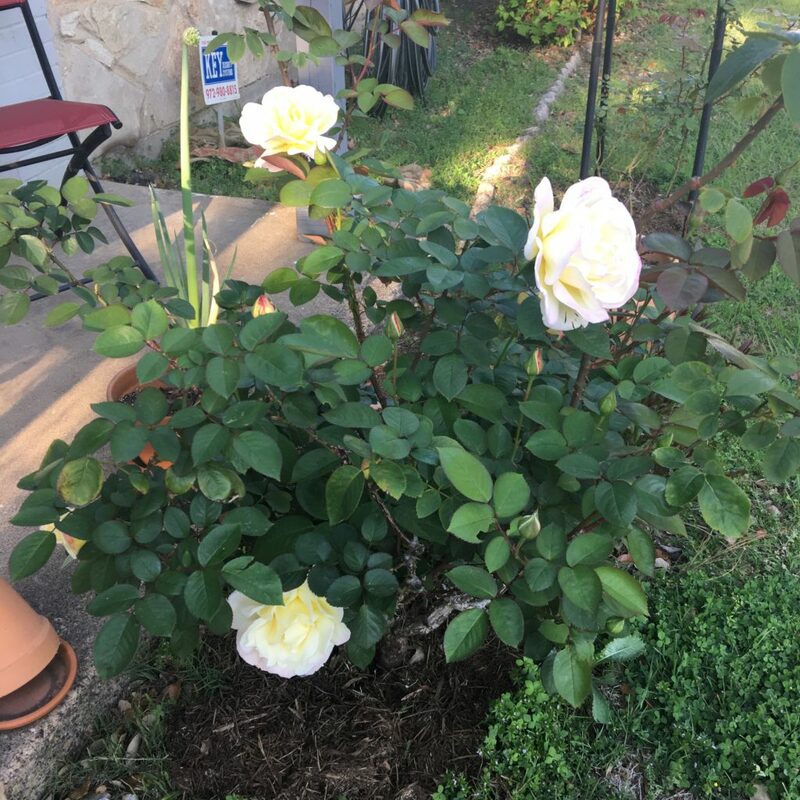 Last year I noticed something really strange about my adopted rose bush, the Peace rose. It had produced a few mottled leaves here and there. I discovered this in the earlier part of the growing season. As the months wore on, the mottling gradually disappeared. I thought nothing of it after that. One of the leaves showing the strongest webbing of discoloration. Today I was watering the flowers because temperatures began rising into the upper 80s and lower 90s these last few days. 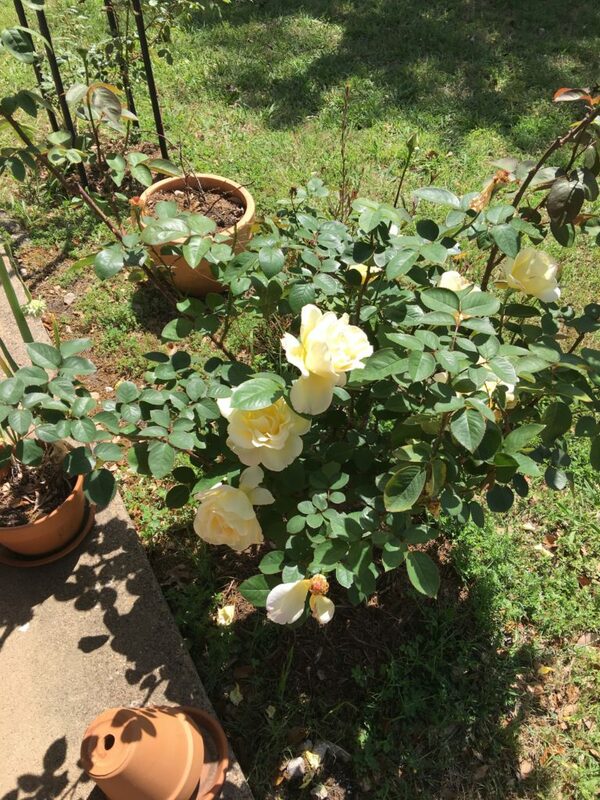 Afterward, I examined the Peace rose and once again noticed a couple leaves–not as many as last year–had some significant mottling. I Googled this information. Apparently rose bushes have their own version of WebMD on the internet. And as soon as I managed to identify and match what I was seeing to what I found on the internet I discovered my rose unfortunately suffers from Rose Mosaic Virus. Opinions vary from extreme (“We don’t know anything about Rose Mosaic so you should destroy the bush and destroy the soil it lived in. LET IT BURN!) to, well, not so extreme (“The virus doesn’t do much to the bush other than make early leaves look weird. It may stunt the growth of branches, but most bushes go on to produce beautiful flowers anyway.”) They’re even conflicting. Some say it spreads through the pollen, others say it’s spread through propagation, which is especially why it’s most common in grafted roses. And I suppose it makes sense why this rose has always been such a small dwarf despite it being a hybrid tea. Either way, I’m torn. I don’t want to put my other roses in danger. But then again, are they really in danger if the virus isn’t fatal? Maybe it’s just like a limp or a genetic defect. 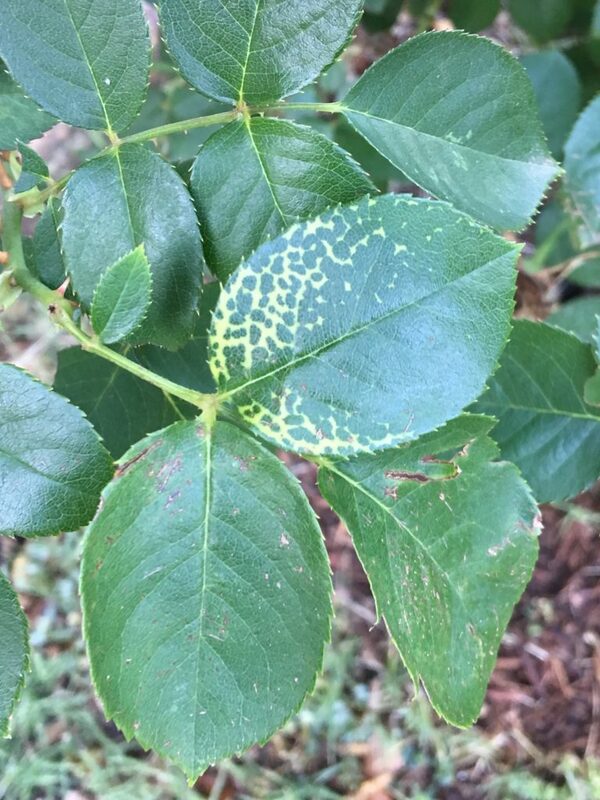 Does it warrant destroying a perfectly good rose bush that seems to have lived with this virus many years? Please keep in mind that this year, this rose bush has produced the biggest, healthiest most beautiful blooms that I’ve seen since I’ve lived here. Below are some pictures from April. Peace produced around 12 grand blooms over the springtime, all on its dwarfed limbs. This is the most I’ve seen it produce ever. A photo from early April. Blooms were around 4″ in size.